There is nothing that says English high tea quite like cucumber sandwiches. They call to mind white lace tablecloths, starched just so; the fine china; someone’s Aunts Augusta and Elizabeth; itchy wool socks, the smell of wet dogs just come in from a run in the garden, that sort of thing. 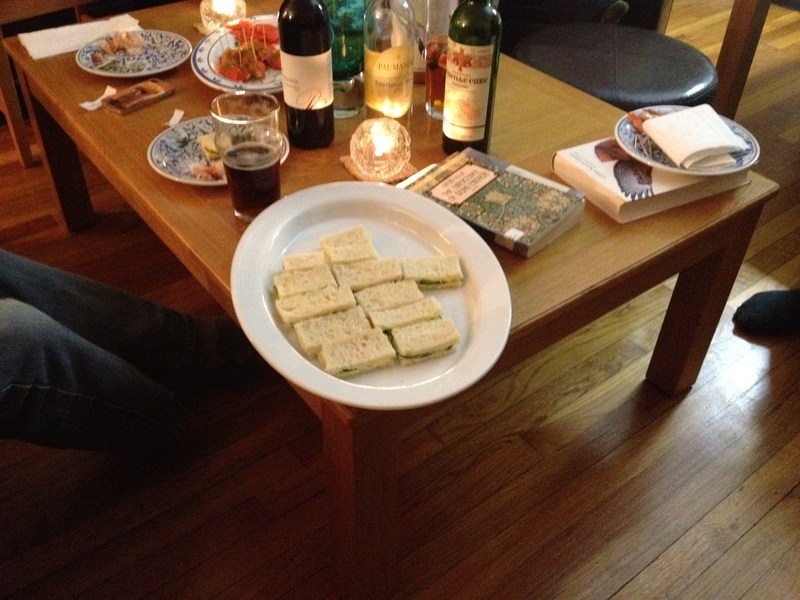 But when you are reading Oscar Wilde’s The Importance of Being Earnest with friends, two things become apparent. One is that it is not the prissy or genteel aunts who are nibbling delicately on the the cucumber sandwiches…no, no. they never get a chance. In this play of love and marriage and double entendres, it is the naughty, insouciant young gentlemen who can’t keep their hands off those cucumber sandwiches and who eat them up before anyone else has a chance. If you choose to look into this further, you might make some connections between the rigidity of social norms of the times and the lust for life that busts out around the edges of it all. Or you might not. The second thing that becomes apparent is that cucumber sandwiches are fantastic. This is the recipe: Good white sandwich bread from a bakery (thanks to David and Citarella), crusts removed (thanks to Ashley), good salted butter (Irish, in this case), and thinly sliced English hothouse cucumbers (unpeeled, by executive decision; if they’d been the thick-peeled American ones, the peels would have had to come off), topped with a sprinkle of sea salt before putting the top slice of bread on, and there you have them. And there really isn’t a particular answer to that except that every one of the ingredients was exactly right. But they are really, really good, and I can see plates of these disappearing off the picnic platters this summer at my house. Why are they so good? Because they are. For more on throwing a play-reading party, click here. Clearly you are not just Hot, Cheap and Easy but also great at throwing Wilde parties. My kind of person *exactly*!!! 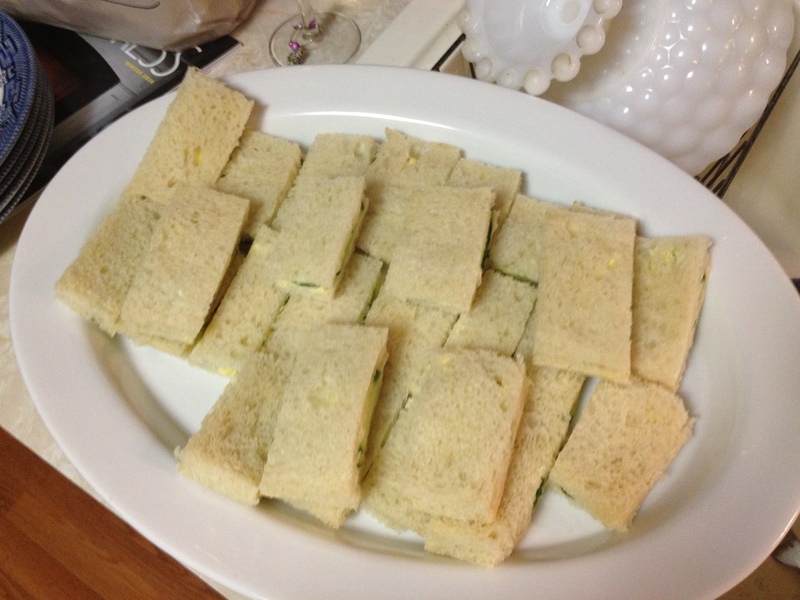 Now I am SOOOO hungry for some (a whole plateful) of these lovely cucumber sandwiches!